Riviera Nayarit Mexico Blog: Prepare To Welcome The 2nd Punta Mita Beach Festival! Prepare To Welcome The 2nd Punta Mita Beach Festival! 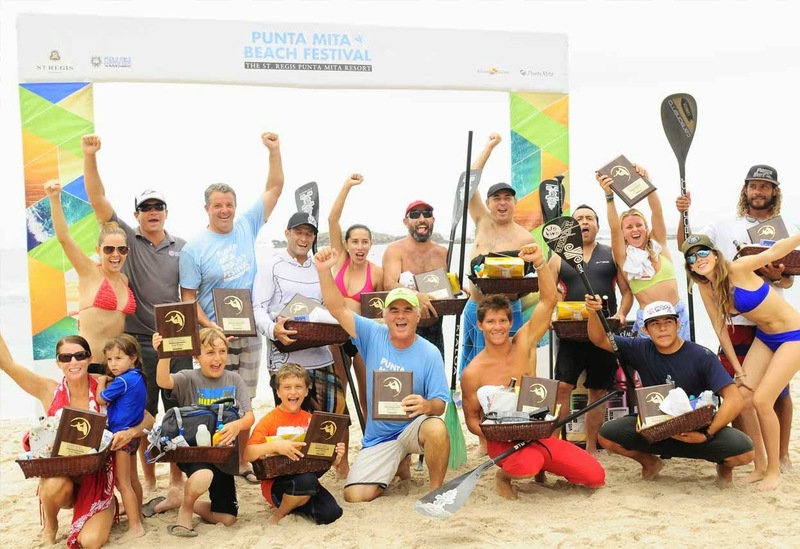 St. Regis Punta Mita Resort, together with Punta Mita Expeditions and the Riviera Nayarit Convention and Visitors Bureau, is preparing to celebrate this fun event that combines watersports with gastronomy from July 17-20, 2014. Summertime is in full swing and with it comes the second edition of the Punta Mita Beach Festival to be celebrated at the St. Regis Punta Mita Resort from July 17-20. This event is completely family-oriented and takes place in collaboration with Punta Mita Expeditions and the Riviera Nayarit Convention and Visitors Bureau (CVB). Surfing, stand up paddle (SUP), yoga, snorkel and scuba combined with great cuisine and luxury welcome participants to this top-shelf event. The competitions, clinics, expeditions, tastings and other adventures will all take place on the Riviera Nayarit’s Glamour Peninsula. It will be a fun-filled weekend with plenty of unique experiences guided by experts such as Dr. Kenny Broad, National Geographic’s 2011 Explorer of the Year; Ana Paula Domínguez, founder and director of the Mexican Institute of Yoga; international surfer Jamie O’Brian; and Eduardo Rivadeneira, executive chef at the Paracas Hotel in Peru, among others. The traditional St. Regis Champagne Sabering will take place at sunset on Playa Marietas to inaugurate this grand celebration, which will also offer unique culinary experiences. If you’re interested in more details or wish to make reservations for the second Punta Mita Beach Festival, please contact your travel advisor, call 01.329.291.5800 or email puntamita.butler@stregis.com. Click here for a video of last year’s edition of the festival for a taste of what’s coming up next weekend in Mexico’s Pacific Treasure: https://www.youtube.com/watch?v=Qa_oaKdHDhQ.